A chance meeting at an "arts meets geology" event led to Andrew Green giving Coastwise members a masterclass in North Devon's geological history. Andrew works at IGI Ltd, a great example of how the internet allows a small company to successfully deliver a highly technical geophysical interpretation service to the international oil and gas industry from a remote location such as Bideford. Andrew explained what geology actually is, and how it has many facets such as geomorphology, stratigraphy and economic, before getting on to why our area looks like it does. 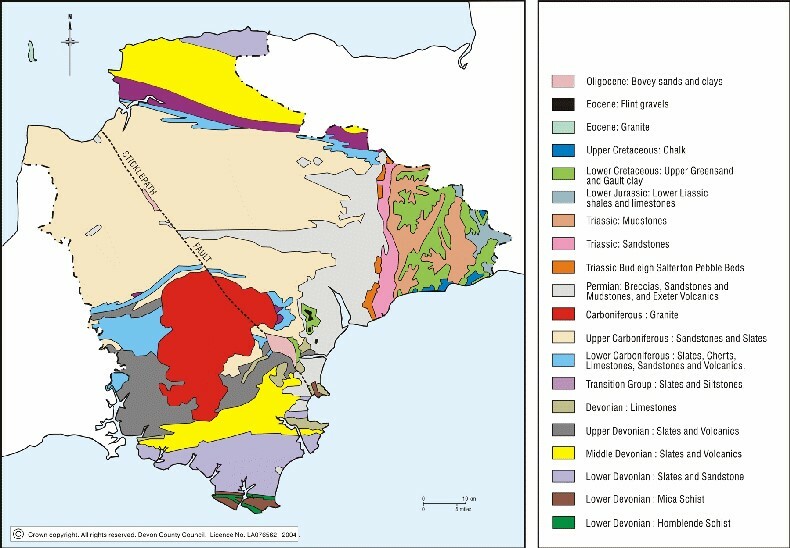 The key influences to the variety of geology found in southern England have been the way that it has been assembled by the meeting and separation of tectonic plates over the last several hundred million years, and the locations of those plates. For example, the red Devonian rock of south Devon was formed in a desert environment south of the equator, while the slates and sandstones of the Foreland Point to Biderford were laid down in ancient river deltas and seas, long since disappeared. The collision of continents caused huge orogeny, or mountain uplift such as we see currently in the Himalaya, and the evidence of this can be seen in the extremely convoluted strata at locations such as Hartland. Andrew covered the rock cycle, from deposition of mudstones, through slate, schist and gneiss back to the igneous state as deposition, burial and re-absorbtion back into the earth's mantle takes place. 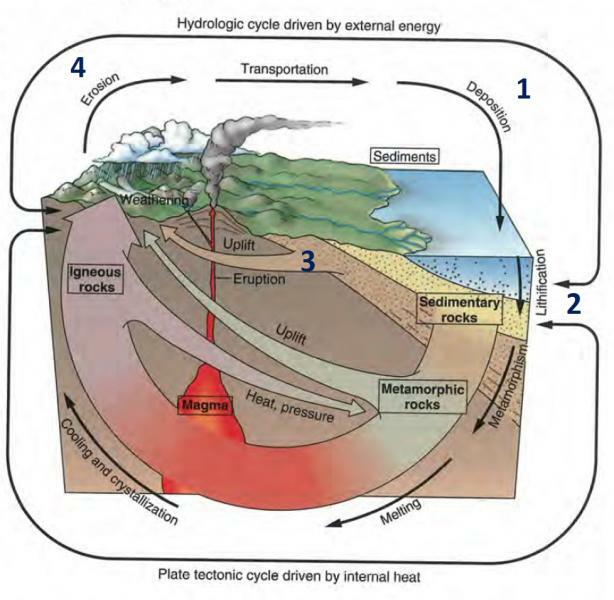 Following this, igneous activity or orogeny leads to erosion to re-start the cycle. Coastwise members heard that the main influences on the shape of the local coastline is the approx. 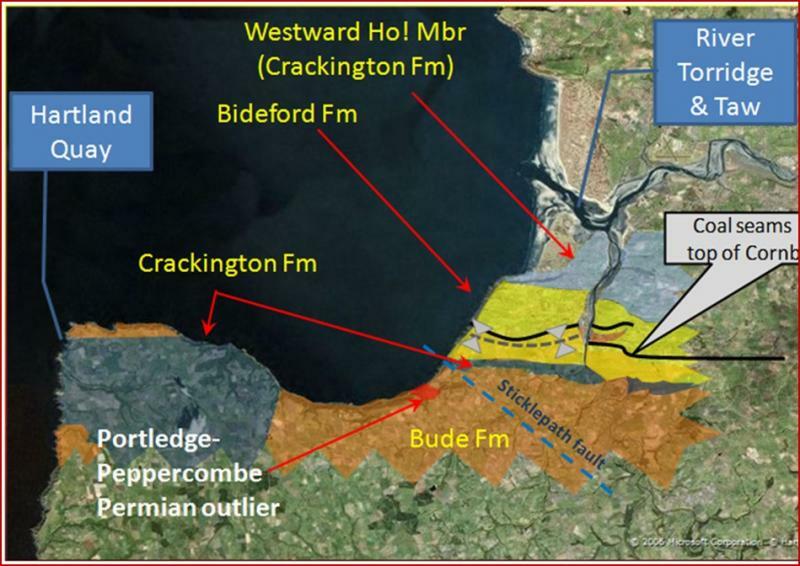 NW-SE axis of the exposed strata, and the Sticklepath fault which probably caused the major indent of Bideford Bay. Andrew gave a masterly overview of the very complicated geological processes that have led to modern Devon in a way both interesting and understandable to the layman.